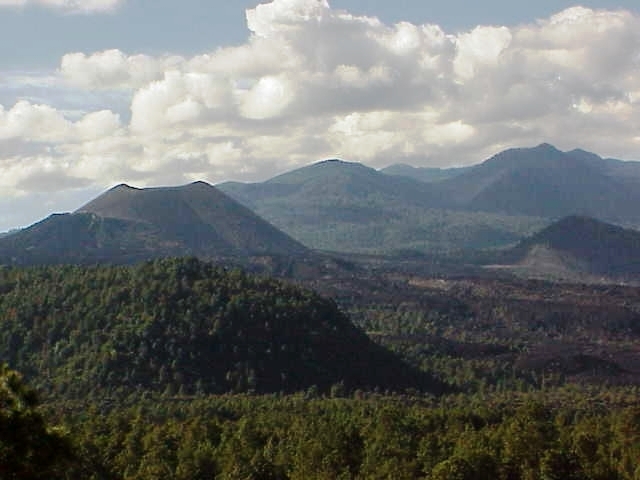 About 200 miles west of Mexico City, close to the town of Uruapan, there is a cinder-cone volcano called Paricutin. Paricutin is considered to be the youngest volcano in the Northern Hemisphere having surged suddenly in a cornfield in 1943. The farmer’s cornfield then became extremely popular, attracting scientific attention. The lava flow from the volcano destroyed the Mexican villages of Paricutin and San Juan Parangaricutiro. Here are some interesting facts about the Paricutin Volcano that will expand your geological knowledge. Let’s get started! The villagers of Paricutin heard loud rumblings in the ground and felt the earth shake two weeks before the volcano’s sudden appearance. The farmer Dionisio Pulido and his family discovered a hot mound of soil in the middle of their property, on the February 20th, 1943. The soil of Pulido’s cornfield suddenly rose more than 6 feet, setting free sulfur fumes and ash into the air. After few hours, the hot mound formed a small cone that was releasing flames up to 2625 ft. up in the air. Paricutin had risen 164 ft. within the first day and after a week it was 500 ft. high. The fast-growing volcano continued to grow, releasing ash, sulfur fumes, and smoke. The temperature of the exploding gas from the volcano was 1879 to 1940 degrees Fahrenheit. A week after the eruption and the growth of the volcano, the surrounding land was covered in lava. 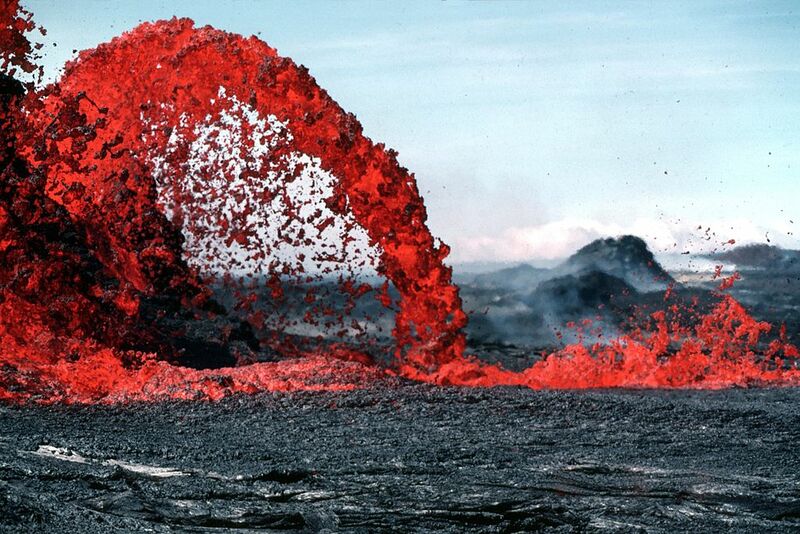 The temperature of the lava flow reached 1958 degrees Fahrenheit and moved at a speed of 196 feet per minute. Over 7,000 residents of Paricutin had to leave their homes due to the thick smoke, ash, and lava. The village became unsafe for the people living there and had to abandon their native home for good. 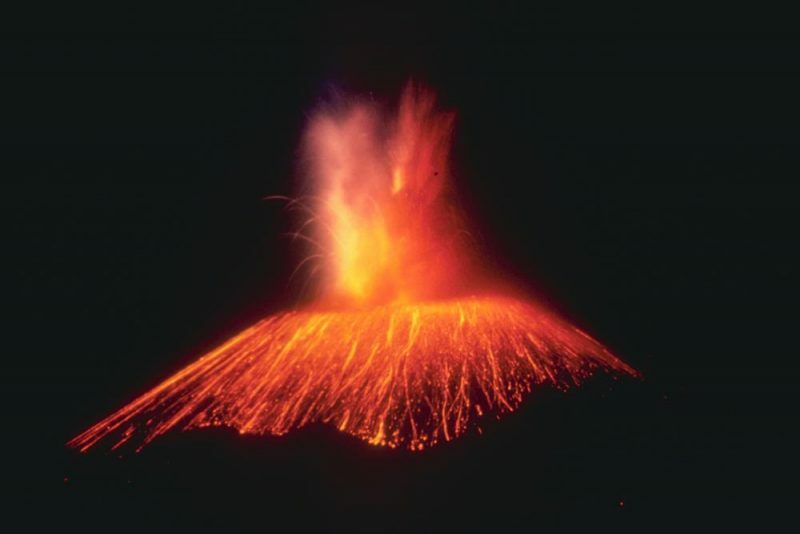 The volcano was at its most active during the first year of its existence when it grew 1,000 ft. high. This included almost 90% of the lava, sulfur and other gasses it has released from the ground. The ash from the volcano reached 5 miles up into the air and spread about 200 miles east, affecting the whole area. Paricutin volcano is a part of the Michoacan-Guanajuato volcanic belt, which covers an area of 15,444 square miles. The volcanic area contains about 1,000 cinder cones and 378 medium-sized volcanoes. Cinder cones are the most common form of volcano on our planet. 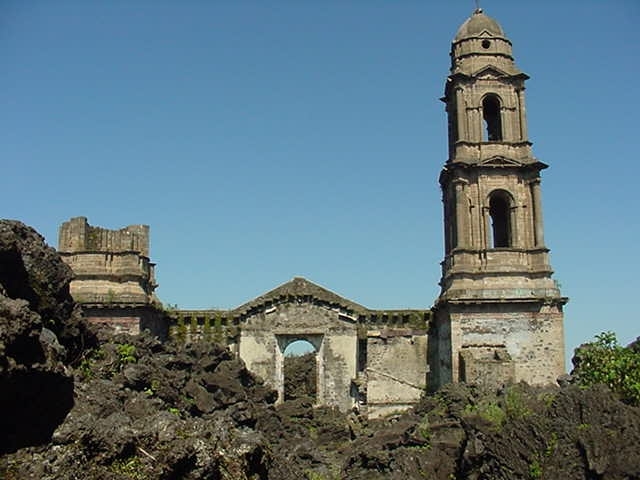 By the year of 1944, the whole village had disappeared from the face of the earth, with only the top part of San Juan Parangaricutiro church still visible. The volcano was erupting continuously from 1943 until 1952 which allowed volcanologists to explore the process of the birth and the activity of Paricutin. Nowadays, this volcano is no longer active. The height of the volcano is 1,391 ft.
Paricutin Volcano is a tourist attraction with the main access being in Angahuan. The small town offers guided tours and horses that can take you to the ruins of the San Juan Parangaricutiro Church. Also, there is the possibility of climbing the volcano, which is an amazing experience, if a bit scary when you know the volcano’s history. The volcano is accessible on horseback, except the last few hundred steps where people need to walk the final steep section of the trail. The excursion requires a professional guide or a local that knows the area and can lead you safely through the agave fields and the avocado growth. All in all, visiting the volcano is a great experience that shouldn’t be missed if you’re ever near Paricutin.